Each year, as we notice Christmas decorations going up around town, we think to ourselves ‘surely it can’t be that time of year’. But sure enough, it is! Another year almost gone but another chance to get involved in the Christmas spirit by creating your own Christmas decorations. Instead of heading to the $1 store for your generic Christmas decorations this year, while not do it yourself! While fun, especially for the kids, you can customize these modern decorations in way that will suit your home and act as a great feature piece on your dining table, benchtop. 1.) 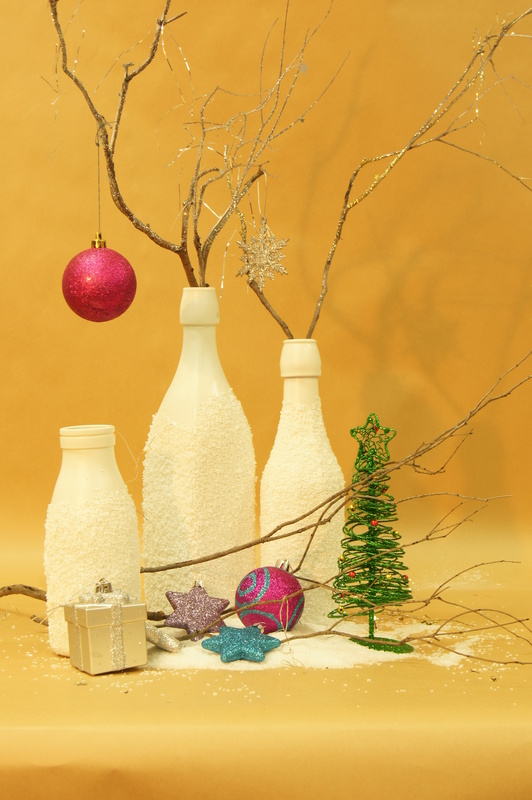 Cover your table top or decorating area with newspaper and place the empty, bottles on top. 2.) 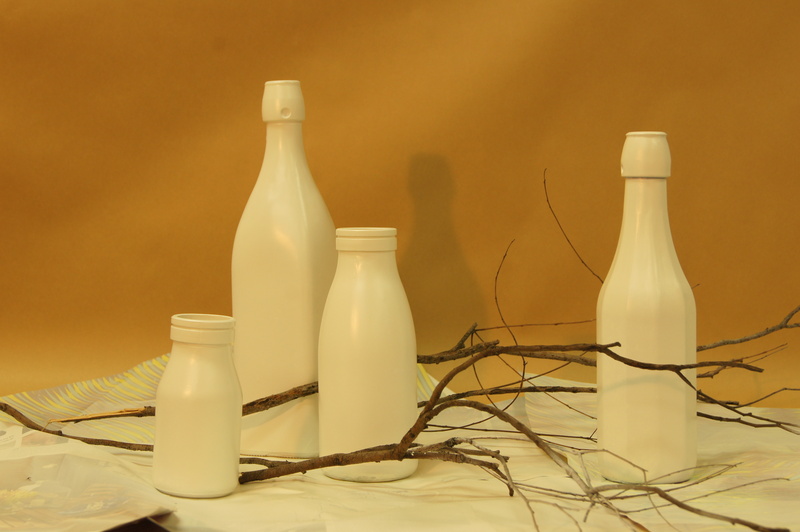 One at a time, coat each bottle with the white spray primer. Ensure an even coverage by moving the spray in a sweeping motion from left to right during application. Allow 4hrs for the primer to dry. 3.) 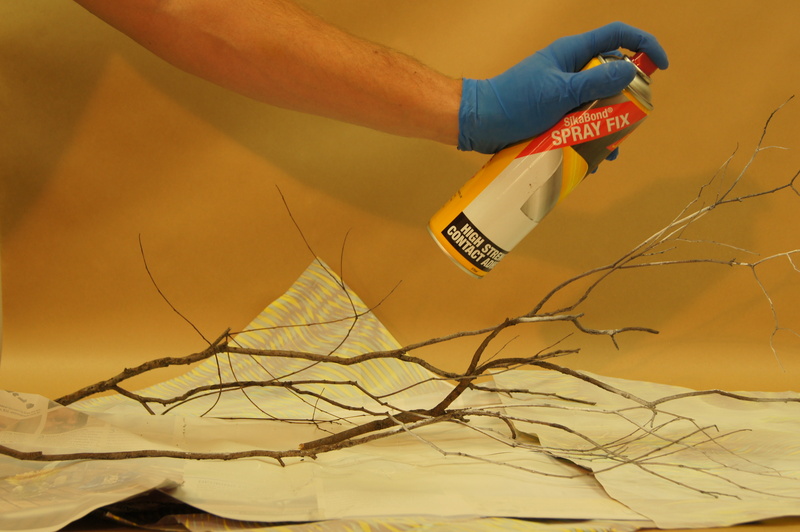 Once the bottles have been completed, spray the primer over the tips of the branches. 4.) 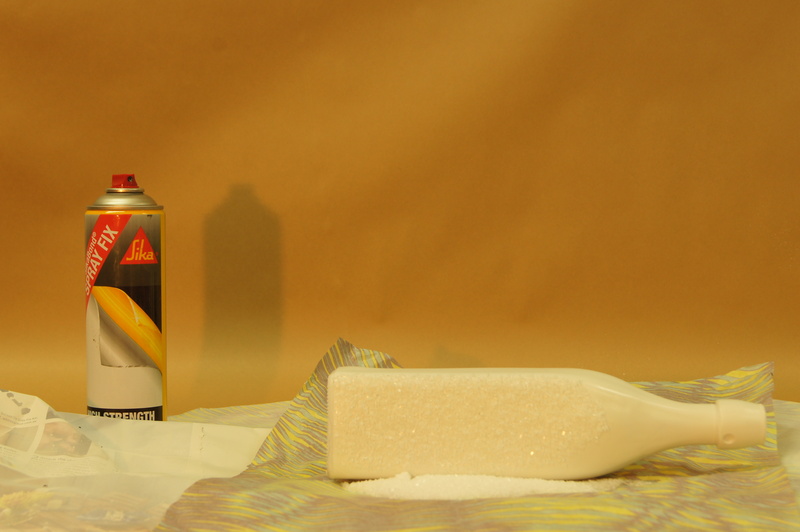 Once finished with the primer, turn the can of Sikabond Spray Fix down and press the nozzle down for 2 seconds. 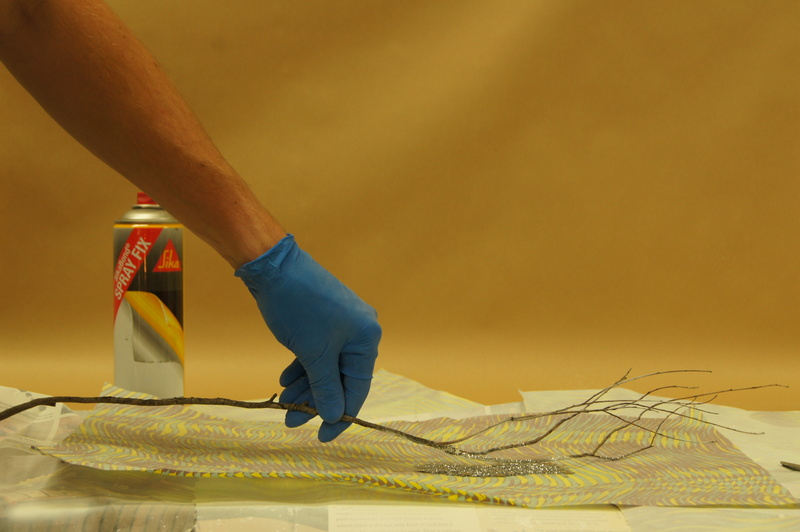 This will ensure the nozzle is clean for future use. 5.) Pour the epsom salts onto a clean section of the newspaper. 6.) Once the primer has dried, coat all sides of each bottle with a layer of Sikabond Spray Fix. 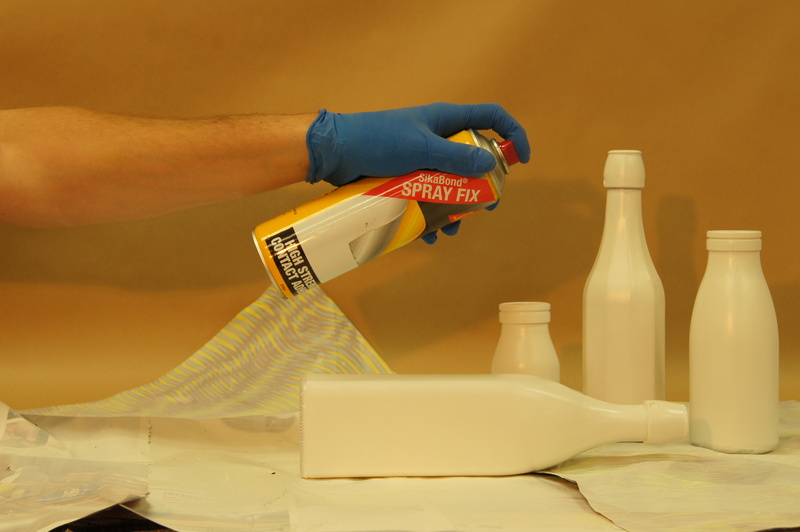 Spraying from a distance of approx 20cm, use the same sweeping motion as with the primer. 7.) 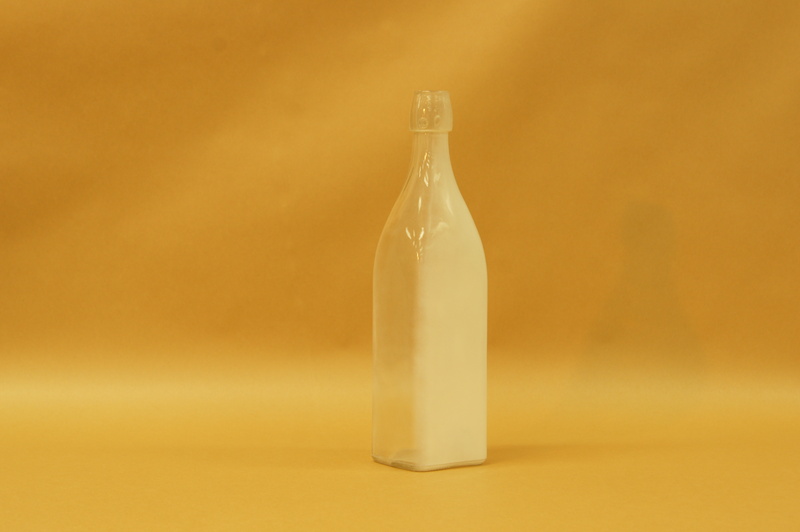 One side at a time, gently dip and roll the bottle into the epsom salts, ensuring an even coverage over each face of the bottle. 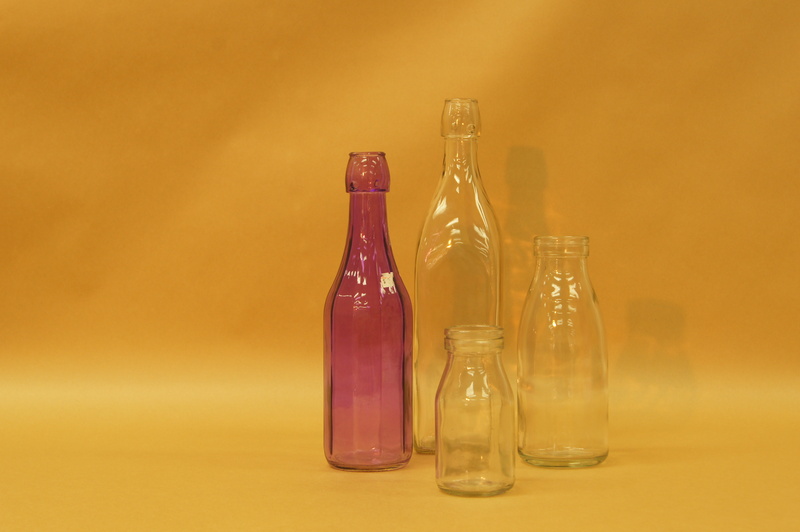 Put the bottles aside. 8.) Pour a small amount of glitter onto a separate patch of newspaper and cover the branches in a layer of Sikabond Spray Fix. 9.) Dip and roll the branches in the glitter. 10.) 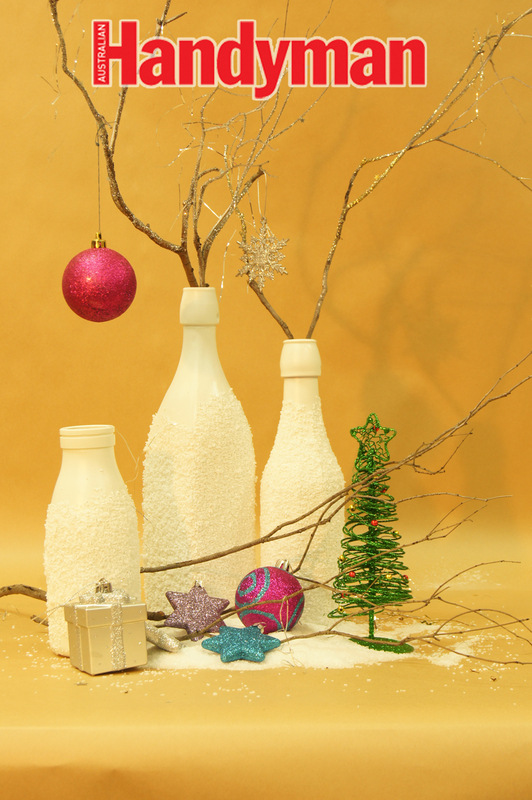 Once the bottles and branches have dried (allow approx 15mins) arrange them as pictured below, adding salts and decorations around the base for that snow like effect. Has this post been helpful? Let us know via a comment below or over on our Facebook page!